Its not that I don't like scrap books, I just don't have the time to dedicate to scrapbooking. That's also not to say that I don't do any scrap booking. 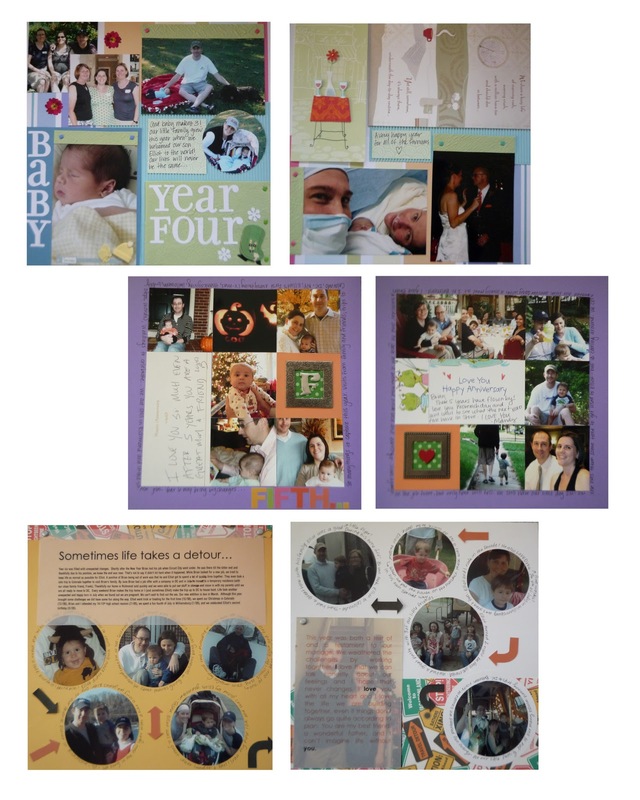 I limit my scapbooking to vacation journals (I journal whenever we go on a big vacation - its been years) and our Anniversary Book, a scrap book created the first year we were married (the traditional gift for the first year of marriage is paper). Every year since, I have added two pages that sum for each year of marriage. 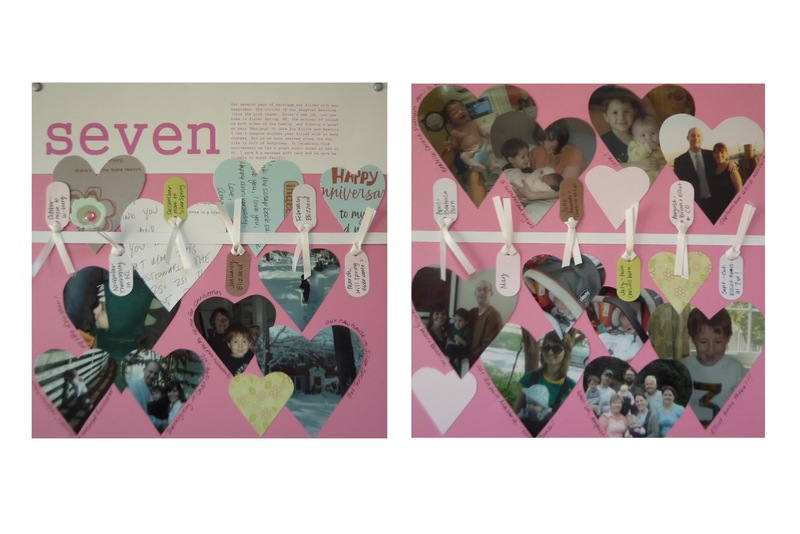 On Monday, we celebrate our seventh anniversary and over the weekend I added two new pages. I am so glad that I have kept up with the book. Its a lot of fun to look back over the years and see how our lives have changed. 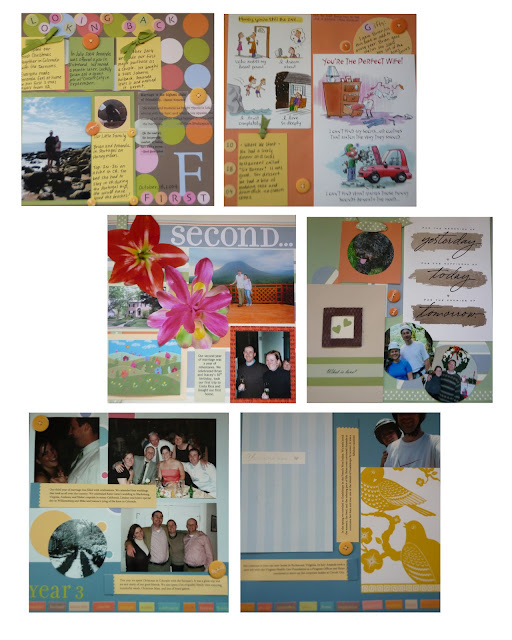 I try to get creative with the pages each year and I try to use paper and scraps that I have on hand. The result is always different.